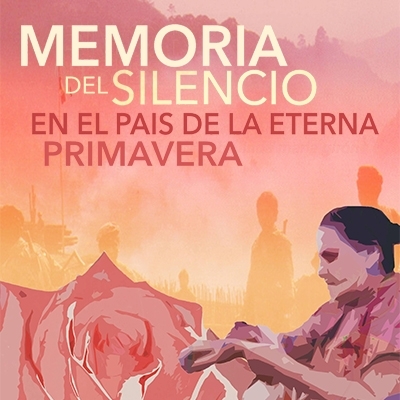 Memory of Silence in the Land of Eternal Spring: a new play by Linda Maria Girón. Set in the land of eternal spring, in a town where the ghosts sing with the living, roses grow larger than cattle and nearby villages have gone missing; young Mari’s quest to find her father’s ghost becomes a desperate fight to restore her aunt’s fading memory. Together, la familia Noguera must face the boundaries of love when tested by the realities of life—aging, war and illness. About the author: Linda Maria Girón is Guatemalan-American actor and playwright born and raised in Los Angeles, CA. She holds BA in Theater and Performance Studies at UC Berkeley where she was awarded the Roselyn Schneider Eisner Prize for Acting and Playwriting and Michael Mansfield and Randy Sweringen Social Justice Award for her play, Memoria del Silencio en el País de la Eterna Primavera. Her short play, white iris, received its first premiere at Pianofight’s Shortlived VI. Linda has performed in various companies across the Bay, including the New Conservatory Theater Center, BATCO, Brava Theater Center, Actor’s Ensemble of Berkeley, The Utopia Theatre Project and FaultLine Theater where she is also an associate artist. She is honored to receive her first theatre residency with MCCLA to stage Memoria del Silencio’s world premiere.